Get precision and creativity into freehand lightening techniques. 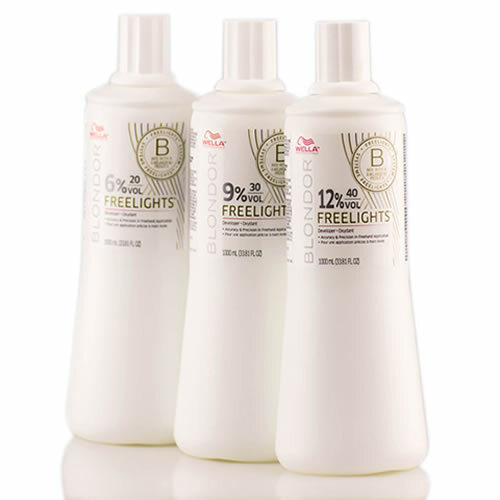 Wella's Blondor Freelights Developer is part of a system to free-up the stylist's creativity. Experience a new level of precision and accuracy in freehand techniques. 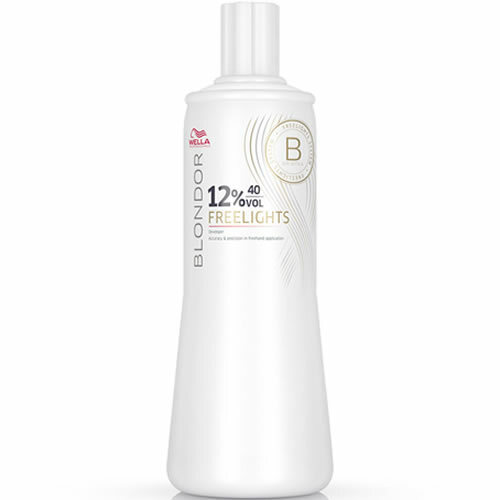 This developer comes in 3 strengths and works just as well on natural or pre-coloured hair. Use Vol. 20 (6%) for gentle lift, Vol.30 (9%) for extra lift and Vol. 40 (12%) for maximum lift. Your clients can look forward to up to 7 levels of hair lightening. It's recommended for exclusive use with Wella's Freelights White Lightening Powder. 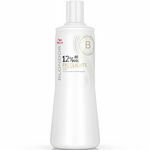 Apply to dry hair in a sweeping motion to strand surface area. Take note that development time depends on the condition of the hair and the desired level of lightening required. Contains hydrogen and flexible acrylic polymers. Each developer comes in a 1000-ml bottle. A flexible white lightening powder that suits freehand techniques and can provide up to 7 levels of hair lightening. Comes in a 400-g tube.